The central problem is the alum. The whole Vaccination meme is turning out to be Medieval. It should only be used as an emergency tool in conjunction with medical isolation as was done for SARS. We do not today vaccinate against SARS or EBOLA for that matter. As a general system it needs to be minimized and rethought or even reinvented. A lot of chronic problems we now take for granted are now suspect as possible long term Vaccine caused. No one would accuse Yehuda Shoenfeld of being a quack. The Israeli clinician has spent more than three decades studying the human immune system and is at the pinnacle of his profession. You might say he is more foundation than fringe in his specialty; he wrote the textbooks. The Mosaic of Autoimmunity, Autoantibodies, Diagnostic Criteria in Autoimmune Diseases, Infection and Autoimmunity, Cancer and Autoimmunity – the list is 25 titles long and some of them are cornerstones of clinical practice. Hardly surprising that Shoenfeld has been called the "Godfather of Autoimmunology" – the study of the immune system turned on itself in a wide array of diseases from type 1 diabetes to ulcerative colitis and multiple sclerosis. But something strange is happening in the world of immunology lately and a small evidence of it is that the Godfather of Autoimmunology is pointing to vaccines – specifically, some of their ingredients including the toxic metal aluminum – as a significant contributor to the growing global epidemic of autoimmune diseases. The bigger evidence is a huge body of research that's poured in in the past 15 years, and particularly in the past five years. Take for example, a recent article published in the journal Pharmacological Research in which Shoenfeld and colleagues issue unprecedented guidelines naming four categories of people who are most at risk for vaccine-induced autoimmunity. "On one hand," vaccines prevent infections which can trigger autoimmunity, say the paper's authors, Alessandra Soriano, of the Department of Clinical Medicine and Rheumatology at the Campus Bio-Medico University in Rome, Gideon Nesher, of the Hebrew University Medical School in Jerusalem and Shoenfeld, founder and head of the Zabludowicz Center of Autoimmune Diseases in the Sheba Medical Center at Tel Hashomer. He is also editor of three medical journals and author of more than 1,500 research papers across the spectrum of medical journalism and founder of the International Congress on Autoimmunology. "On the other hand, many reports that describe post-vaccination autoimmunity strongly suggest that vaccines can indeed trigger autoimmunity. Defined autoimmune diseases that may occur following vaccinations include arthritis, lupus (systemic lupus erythematosus, SLE) diabetes mellitus, thrombocytopenia, vasculitis, dermatomyosiositis, Guillain-Barre syndrome and demyelinating disorders. Almost all types of vaccines have been reported to be associated with the onset of ASIA." ASIA – or Autoimmune/inflammatory Syndrome Induced by Adjuvants (also known as Shoenfeld's syndrome) -- first appeared in the Journal of Autoimmunology four years ago. It is an umbrella term for a collection of similar symptoms, including Chronic Fatigue Syndrome, that result after exposure to an adjuvant – an environmental agent including common vaccine ingredients that stimulate the immune system. Since then an enormous body of research, using ASIA as a paradigm, has begun to unravel the mystery of how environmental toxins, particularly the metal aluminum used in vaccines, can trigger an immune system chain reaction in susceptible individuals and may lead to overt autoimmune disease. "Throughout our lifetime the normal immune system walks a fine line between preserving normal immune reactions and developing autoimmune diseases," says the paper. "The healthy immune system is tolerant to self-antigens. When self-tolerance is disturbed, dysregulation of the immune system follows, resulting in emergence of an autoimmune disease. Vaccination is one of the conditions that may disturb this homeostasis in susceptible individuals, resulting in autoimmune phenomena and ASIA." Who is "susceptible" is the subject of the paper entitled, "Predicting post-vaccination autoimmunity: Who might be at risk?" It lists four categories of people: 1) those who have had a previous autoimmune reaction to a vaccine, 2) anyone with a medical history of autoimmunity, 3) patients with a history of allergic reactions, 4) anyone at high risk of developing autoimmune disease including anyone with a family history of autoimmunity, presence of autoantibodies which are detectable by blood tests and other factors including low vitamin D and smoking. Regarding those who have had a previous adverse reaction to vaccines, the paper cites five relevant studies including the case of a death of a teenage girl six months following her third Gardasil injection against HPV virus. She had experienced a range of symptoms shortly after her first dose, including dizziness, numbness and tingling in her hands, and memory lapses. After her second injection, she developed "intermittent arm weakness, frequent tiredness requiring daytime naps," worse tingling, night sweats, chest pain and palpitations. A full autopsy was unrevealing but blood and spleen tissue analysis revealed HPV-16 L1 gene DNA fragments – matching the DNA found in vials of the Gardasil vaccine against cervical cancer – "thus implicating the vaccine as a causal factor." The DNA fragments had also been found to be "complexed with the aluminum adjuvant" which, according to the report, have been shown to persist for up to 8 to 10 years causing chronic immune system stimulation. "Although data is limited," Shoenfeld and his colleagues concluded, "it seems preferable that individuals with prior autoimmune or autoimmune-like reactions to vaccinations, should not be immunized, at least not with the same type of vaccine." The second group which the paper cites for vaccine exemption is patients with "established autoimmune conditions." Vaccines don't work so well in them, say Shoenfeld and his colleagues, and they are at "risk for flares following vaccination." 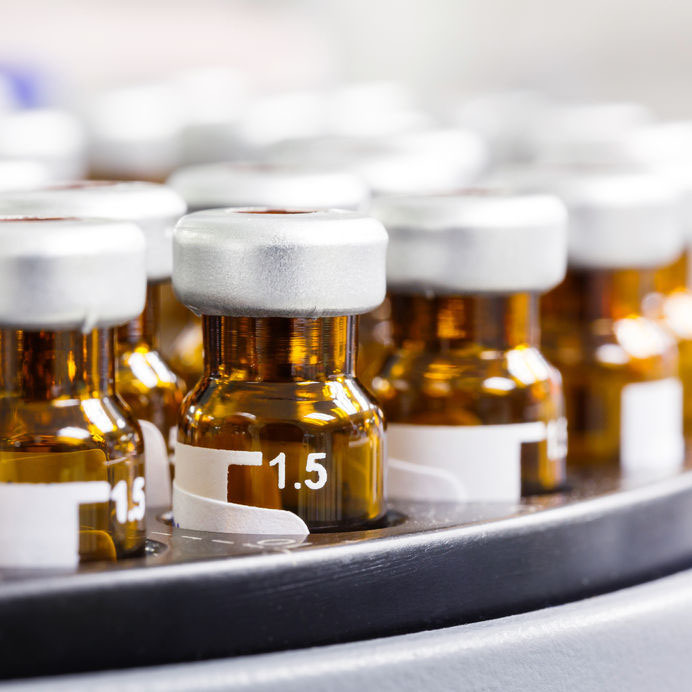 Inoculations that contain live viruses including chickenpox, yellow fever and the measles, mumps and rubella triple vaccine (MMR) are "generally contraindicated" for people with autoimmune conditions because of the risk of "uncontrolled viral replication." But inactivated vaccines are not such a good idea either because they usually contain the added ingredient aluminum, linked to autoimmunity. The immunologists describe recent studies in which patients with autoimmune rheumatic disease given the influenza vaccine (without aluminum) suffered more joint pain and fever than controls and whose levels of autoantibodies (the drones that attack self) increased after receiving the flu vaccine. What's more, they developed new types of autoantibodies that weren't present before the vaccines, and those persisted. As the presence of autoantibodies can be predictive of developing autoimmune disease in patients without symptoms, even years ahead of disease onset, this is troubling to those who understand immunology. A number of studies claim vaccines are safe for the "overwhelming majority of patients with established autoimmune diseases," the study allows, but they only looked at rheumatoid arthritis and lupus and not at severe and active cases so "the potential benefit of vaccination should be weighed against its potential risk," they cautioned. Vaccine trials have usually excluded "vulnerable" individuals -- only extremely healthy individuals with no allergies are recruited. It's a "selection bias," say Soriano and Shoenfeld, and has likely resulted in serious adverse events being "considerably underestimated" in "real life where vaccines are mandated to all individuals regardless of their susceptibility." The true incidence of allergic reactions to vaccines, normally estimated at between one in 50,000 to one in a million doses, is probably much higher and particularly where gelatin or egg proteins are on the ingredients list, they say. There's a long list of vaccine ingredients that are potential allergens: besides the infectious agents themselves, there are those from hen's egg, horse serum, baker's yeast, numerous antibiotics, formaldehyde and lactose, as well "inadvertent" ingredients such as latex. People's allergic histories have to be taken before vaccination say the researchers. But some signs of reaction don't show up until after the shot. The public health nurse or GP might tell patients that a long-lasting swelling around the injection site after a vaccine is a normal reaction, for example. But that is not what the immunologists say. "[A]luminum sensitization manifests as nodules [hard lumps] at the injection site that often regress after weeks or months, but may persist for years." In such cases, they say, a patch test can be done to confirm sensitivity and to avoid vaccination. According to a growing body of research, though, allergy may be only the beginning of many dangerous aluminum-induced phenomena. Aluminum has been added to vaccines since about 1926 when Alexander Glenny and colleagues noticed it would produce better antibody responses in vaccines than the antigen alone. Glenny figured the alum was inducing what he called a "depot effect" – slowing the release of the antigen and heightening the immune response. For 60 years his theory was accepted dogma. And over the same time, the vaccine schedule grew decade on decade, but few ever questioned the effects of injecting aluminum into the body, which is strange considering its known toxicity. A PubMed search on aluminum and "toxicity" turns up 4,258 entries. Its neurotoxicity is well documented. It affects memory, cognition, psychomotor control; it damages the blood brain barrier, activates brain inflammation, depresses mitochondrial function and plenty of research suggests it is a key player in the formation of the amyloid "plaques" and tangles in the brains of Alzheimer's patients. It's been implicated in Amyotrophic Lateral Sclerosis and autism and demonstrated to induce allergy. When kidney dialysis patients were accidentally infused with aluminum, the "dialysis-induced encephalopathy" (DAE) they developed neurological symptoms: speech abnormalities, tremors, memory loss, impaired concentration and behavioural changes. Many of the patients eventually went into comas and died. The lucky ones survived: when the source of toxicity, aluminum, was removed from their dialysis they recovered rapidly. With these new observations, researchers began investigating the adjuvant effects of aluminum and in the past decade there has been a flurry of research. Far from being a sandbag that holds the antigen for a while and then gets excreted, it turns out that aluminum salts trigger a storm of defence action. Within hours of injection of the same aluminum oxyhydroxide in vaccines into mice, for example, armies of specialized immune cells are on the move, calling in grid coordinates for more specialist assault forces. Within a day, a whole host of immune system commandos are in play -- neutrophils, eosinophils, inflammatory monocytes, myeloid and dendritic cells, activating lymphocytes and secreting proteins called cytokines. The cytokines themselves cause collateral damage but they send out signals, directing cell-to-cell communication and recruiting other cells into action. If the next phase of the attack is launched: fibroblast growth factor, interferons, interleukins, platelet derived growth factor, transforming growth factor and tumour necrosis factor might all be engaged. There's evidence that poorly understood and pesky inflammasomes, (currently a topic of cutting- edge cancer causation research) such as the Nod-like receptor 3( NLRP) are activated too, but it's all still too early to say exactly what they're doing. New research emerging from University of British Columbia has found that aluminum adjuvant injected into mice can alter the expression of genes associated with autoimmunity. And in their recent study published in the Proceedings of the National Academy of Sciences, immunologists at the University of Colorado found that even host DNA is recruited into the aluminum assault, that it rapidly coats injected alum, triggering effects that scientists have barely scratched the surface of understanding. This mobility or "translocation" of aluminum in the body is perhaps the most disturbing of the mounting evidence in current aluminum research. In 1998, French researcher Romain Gherardi and his colleagues observed an emerging condition of unknown origin which presented in patients post-vaccination with Chronic Fatigue like symptoms including swollen lymph nodes, joint and muscle pain and exhaustion. Tissue biopsies of the patients' deltoid revealed lesions up to 1 cm in diameter and unique from similar lesions of other diseases. They went to the lab for analysis and to Gherardi's astonishment, they mainly consisted of macrophages – large white blood cells in the immune system whose job is to swallow up foreign invaders in the body. Enclosed in the cellular fluid of these phagocytes were agglomerates of nanocrystals of aluminum. Gherardi and his colleagues began injecting mice with aluminum to see what happened. Their research published in 2013 revealed that the metal particles were engulfed by macrophages and formed MMF-like granulomas that dispersed -- to distant lymph nodes, spleen, liver and eventually brain. "This strongly suggests that long-term adjuvant biopersistence within phagocytic cells is a prerequisite of slow brain translocation and delayed neurotoxicity," writes Gherardi in his February 2015 review of the relevant research in Frontiers in Neurology. A more frightening animal study of aluminum is that of Spanish veterinary researcher Lluis Lujan's study of ovine ASIA. After huge numbers of sheep in Spain died in 2008 in the wake of a compulsory multiple vaccine campaign against bluetongue in Spain in 2008, Lujan set out to find out what killed them – and he began by inoculating them with aluminum. His 2013 study found that only 0.5% of sheep inoculated with aluminum vaccines showed immediate reactions of lethargy, transient blindness, stupor, prostration and seizures – "characterized by a severe meningoencephalitis, similar to postvaccine reactions seen in humans." Most of them recovered, temporarily, but postmortem exams of the ones who didn't revealed acute brain inflammation. The delayed onset "chronic" phase of the disease affected far more of the sheep -- 50-70% of flocks and sometimes virtually 100% of animals within a given flock, usually including all of those who had previously recovered. The reaction was frequently triggered by exposure to cold and began with restlessness and compulsive wool-biting, then progressed to acute redness of the skin, generalized weakness, extreme weight loss and muscle tremors, and finally, entered the terminal phase where the animals went down on their front quarters, became comatose and died. Post-mortem examinations revealed "severe neuron necrosis" and aluminum in the nerve tissue. The immune system's reaction to aluminum "represents a major health challenge," Gerhardi declares in his recent review, and he adds that "attempts to seriously examine safety concerns raised by the bio-persistent character and brain accumulation of alum particles have not been made... A lot must be done to understand how, in certain individuals, alum-containing vaccines may become insidiously unsafe." Back to the problem of which "certain individuals" should avoid vaccination to avoid autoimmune disease. Soriano and Shoenfeld's identify a final category: anyone at risk of developing autoimmune disease. Since a number of them have been shown to have genetic factors that would include anyone with a family history of autoimmune disease. It also includes anyone who has tested positive for autoantibodies which can indicate disease years before symptoms show up. Vaccinations, the doctors say, "may trigger or worsen the disease." Smokers too, have an exceptionally high risk of developing an autoimmune disease, says the report. The American Cancer Society estimates that about 18% of Americans smoke. That means about 42 million Americans have an elevated risk of developing an autoimmune disease and they're stacking the odds with every vaccine. And finally, factors that Shoenfeld and Soriano associate with high risk of developing autoimmunity are high estrogen and low vitamin D -- which means anyone taking birth control or hormone replacement therapy and, according to one 2009 study of vitamin D status, about three quarters of American teens and adults should be wary of vaccines. Shoenfeld doesn't seem to mean to exclude all of these people from immunization, however. The paper concludes that "for the overwhelming majority of individuals, vaccines carry no risk of systemic autoimmune disease and should be administered according to current recommendations." Which is in stark contrast to the body of the paper. The final word is cautionary about weighing the "potential benefit of vaccination...against its potential risk." It's exemplary of a strange sort of schizophrenia in a wide range of recent immunology papers. The doctors seem to be trying to reconcile a century of "safe and effective" vaccine dogma with the last decade's worth of terrifying research findings. There's a lot of "on the one hand" and "on the other hand" in them. "Perhaps, in twenty years, physicians will be dueling with better characterized particles of autoimmunity, and the vaccines may become fully safe as well as effective. Nonetheless the recognition of ASIA has initiated the change to put more efforts in identifying the good, the bad and the ugly of vaccines and in particular of adjuvants as triggers of autoimmunity." Bad and ugly of vaccines? What's wrong with the adjuvants? That's not in the CDC hand-out. "Despite the huge amount of money invested in studying vaccines, there are few observational studies and virtually no randomized clinical trials documenting the effect on mortality of any of the existing vaccines. One recent paper found an increased hospitalization rate with the increase of the number of vaccine doses and a mortality rate ratio for 5-8 vaccine doses to 1-4 doses of 1.5, indicating a statistically significant increase of deaths associated with higher vaccine doses. Since vaccines are given to millions of infants annually, it is imperative that health authorities have scientific data from synergistic toxicity studies on all combinations of vaccines..." That could be any anti-vaxxer jabbering on...but it's not. "The US Supreme Court ruled that vaccines makers are immune from lawsuits charging that the design of the vaccine is defective. Thus there is need for innovative clinical trial design and the vaccines themselves should be redesigned." Immunologists including the world's leading authority on autoimmunity are saying it is time to take vaccines back to the drawing board. Autoimmune disease is the third leading cause of morbidity and mortality worldwide and now among the top 10 killers of young American women. The American Autoimmune Related Diseases Association estimates that 50 million Americans suffer from one of 88 autoimmune diseases -- from type 1 diabetes to systemic lupus erythematosus -- and some research puts the figure at one in five globally. At least 40 more diseases are suspected to be immune-mediated. Most of them are devastating -- frequently crippling, expensive to treat and incurable. And they are increasing at an astonishing pace. At this stage, it looks like the more the research pours in, the harder it is going to get for pro-vaccine immunologists to keep multiple personality disorder – or complete nervous breakdown -- at bay. Ten years of cutting edge research into aluminum's effects on the immune system has revealed primarily how wrong they were. And how little they know. If, after 90 years, doctors finally have begun to seriously examine the mechanism and question the merits of injecting metal toxins into newborn babies, what have they yet to discover? ASIA sounds awful. (Too bad for all the people whose kids suffered through chronic fatigue when it was just a Freudian yearning to sleep with their mother.) But what if, like Lujan's sheep, the "negligible" minority that has been paying the price for the good of humanity is actually only the tip of the iceberg? What if some people with no apparent adverse immune reactions still have nanocrystals of aluminum silently depositing in their brains? What if ASIA really includes Alzheimer's? ALS, autism? ADD? And that's just the A's. Even if immunologists keep wearing their rose coloured glasses, and vaccine ingredients are only responsible for a tiny fraction of the exploding autoimmunity, the "ugly" in vaccines will still get harder and harder to ignore. When everyone on the planet is getting injected, 20 years is a long time for disabled people to stack up while scientists "duel with the characterized particles of autoimmunity." In the fury over the Disneyland measles outbreak that is gripping the world's vaccine promoters, time is running out for doctors and researchers who see the "bad and ugly" side of vaccines and their adjuvants to do something about it. There's slim chance of a vaccine redesign in the absence of a profit incentive and a strong chance of universal vaccine mandates for one and all -- previous anaphylactic shock reaction or not. Can Iodine Boost Your IQ? Where did the Uchee's live? Why active Trench warfare in WW1? Q anon attacks second only to POTUS!! JFK jr as NEW AG? What Happened? Bayer - Monsanto? Cacao and pineapples were grown near Savannah!